A new UO research center aims to make a real difference in the lives of children, the economically disadvantaged and other more vulnerable segments of the population by applying neuroscience-informed approaches to prevention and intervention. The Center for Translational Neuroscience launched officially Sept. 28. “Neuroscience provides us with the ability to cut to the core of the causal properties behind many behavioral issues such as addictions, anxiety, aggressive behavior and overeating,” said Phil Fisher, the center’s director and a professor in the Department of Psychology who serves as a Philip H. Knight Chair. The center brings together UO researchers in psychology, education and other fields and will focus on translating basic knowledge about brain structure and function to practical, scalable tools to improve mental health and well-being. It also draws from UO centers and institutes, including the Lewis Center for Neuroimaging, a core research facility with an MRI that supports neuroscience research and biological imaging. The center will focus on implementing evidence-based interventions in community settings, preventing behavioral health problems and understanding human development. “Our goal is to be a little bit more nimble, targeting not just the ultimate outcomes but understanding the precise mechanisms that explain why an intervention changed a particular behavior,” said Elliot Berkman, the center’s associate director and a professor in the Department of Psychology. The mission of the Center for Translational Neuroscience includes a focus on training undergraduates, graduate students and postdoctoral scholars. 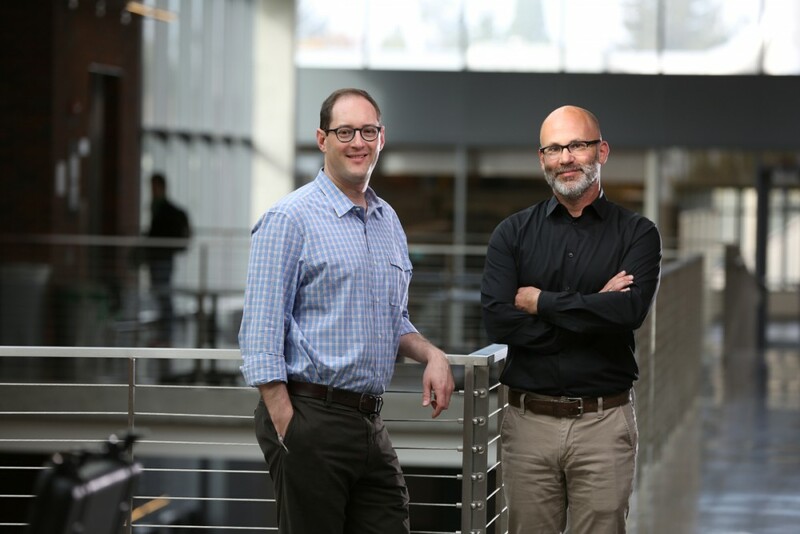 By addressing the underlying causes of addiction, mental health disorders and other behavioral problems, researchers will see real-world impacts from their work, said Brad Shelton, the UO’s interim vice president for research and innovation. “CTN leverages some of our greatest research strengths and connects our faculty with expertise in basic neuroscience methods to those with established track records in evidence-based prevention and intervention programs,” Shelton said. Improving academic outcomes for students in low-income school districts, helping people avoid cancer-related foods and avoid smoking, and improving foster care visitation rooms to strengthen bonds between biological parents and their children are among the areas the center aims to impact. Projects focused on the effects of early adversity on risky decision-making and behavior policy and practice in child welfare systems already are underway. Fisher, a double Duck who earned his master's at the UO in 1990 and his doctorate in 1993, is an expert at applying research findings about the effect of stressors like neglect, maltreatment and poverty on the architecture of the developing brain to real-world settings. In addition to his Knight Chair, he also directs the UO psychology department’s clinical training program as well as the translational neuroscience initiative at Harvard University, where he is a senior fellow.